SACRAMENTO—Chief Justice Tani G. Cantil-Sakauye and Superintendent of Public Instruction Tom Torlakson today announced nine winners of the Civic Learning Award for 2015–2016. The awards, now in their fourth year, were created to celebrate public schools’ efforts to engage students in civic learning. The winners were selected by an expert panel, based on the depth and breadth of their civic learning courses or programs. Six schools received Awards of Distinction, and 78 schools will receive Awards of Merit (see full list). 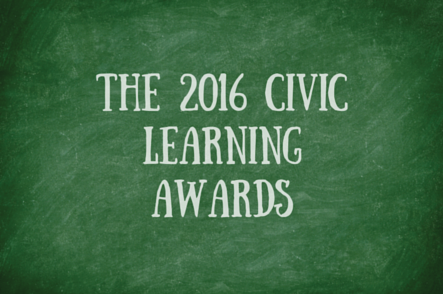 The Civic Learning Awards program is part of the Chief Justice’s civic learning initiative and partnership with the Superintendent of Instruction, launched in 2013 at the Civic Learning Summit.